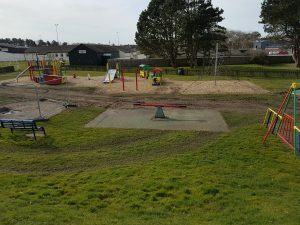 Funding received from Allerdale Borough Council has been used to purchase some new play equipment and safety surfacing for the Eden Street play area. 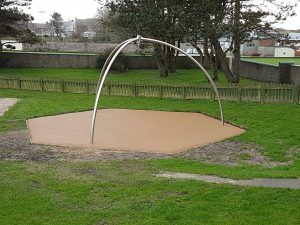 A memory swing seat has been installed which is a fantastic way to spend face-to-face time at the playground, as both toddler and adult enjoy a gentle swinging activity. 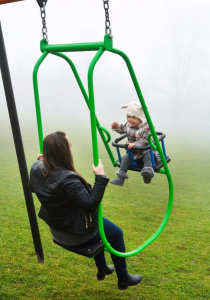 Ergonomically designed to allow eye-to-eye contact for toddler and parent/carer. 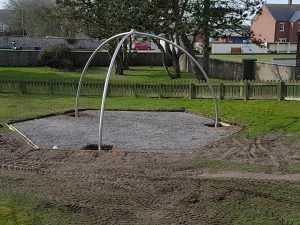 Considerable work has been done by the Town Council’s grounds maintenance team in removing some old equipment and surfacing, putting in the foundations for the new equipment and preparing the ground for the new safety surfacing. 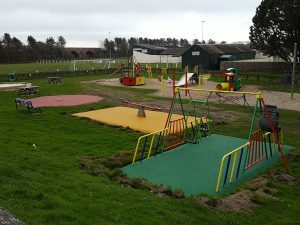 New safety surfacing has been installed which gives the park a bright new look, aswell as keeping youngsters safe when they’re enjoying the park. A new roundabout is to be installed. The Jupiter carousel’s seating offers children safety. 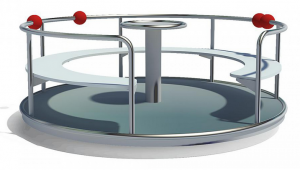 In addition they are able to control their speed by varying the strength of the disc’s rotation. 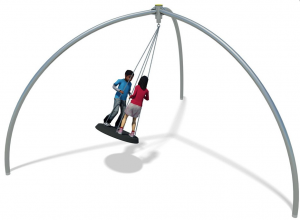 A new Mega Swing is to be installed to replace one of the existing sets of swings. A playground favourite, the Mega Swing gives children the exhilaration of speed and movement as they swing together to get as high as they can. 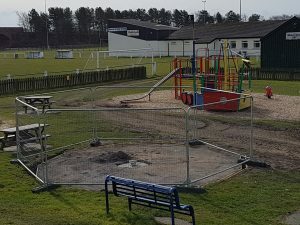 In the next couple of weeks remedial work will be carried out to the grassed area and given a chance to recover, after all the work that’s been done recently. 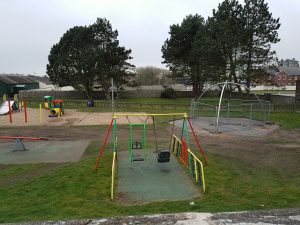 The new equipment will be installed and the park re-opened, for youngsters to explore and enjoy for many years to come.